My first rock concert was in 1972 – The Rolling Stones at Maple Leaf Gardens. I waited in line for 8 hours just to get a ticket – for the princely sum of $15.00. Since then I have seen the Stones at least 5 times, as well as Keith and the X-pensive Winos at Massey Hall in 1993. 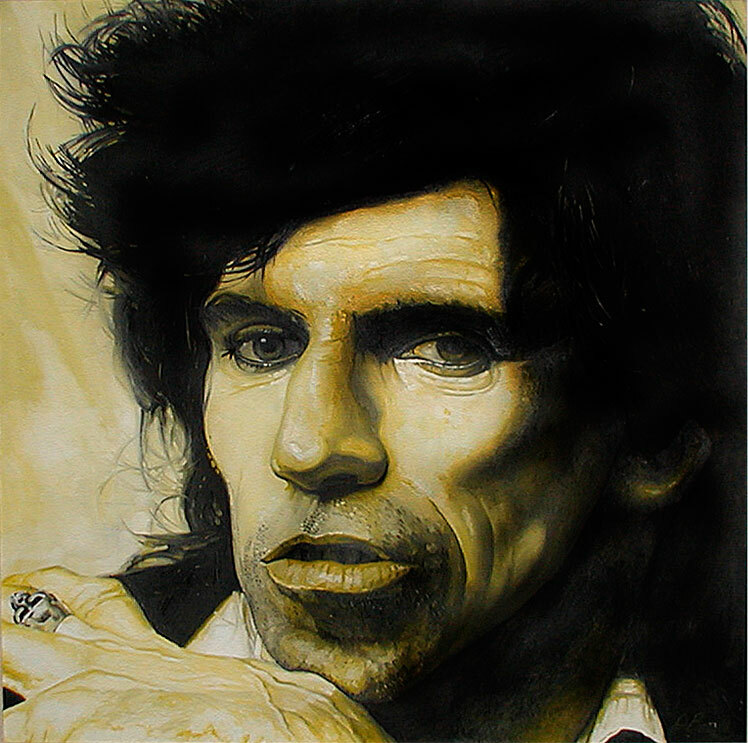 In honour of the birthday boy, and a truly original rock 'n roll rebel – here's to you Keef! JOHN BEADLE: Keith 1981. Oil on masonite. 24" x 24".